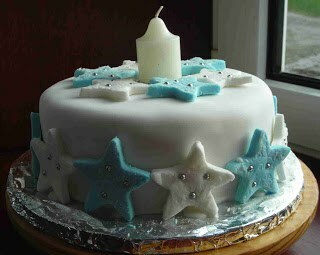 Here is my Christmas Cake. 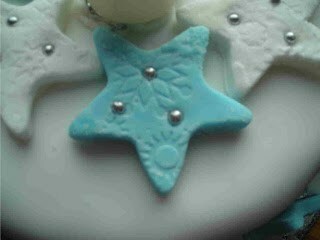 The stars were ’embossed’ using a cuttlebug embossing folder – bit of cross over crafting here. It worked very well.